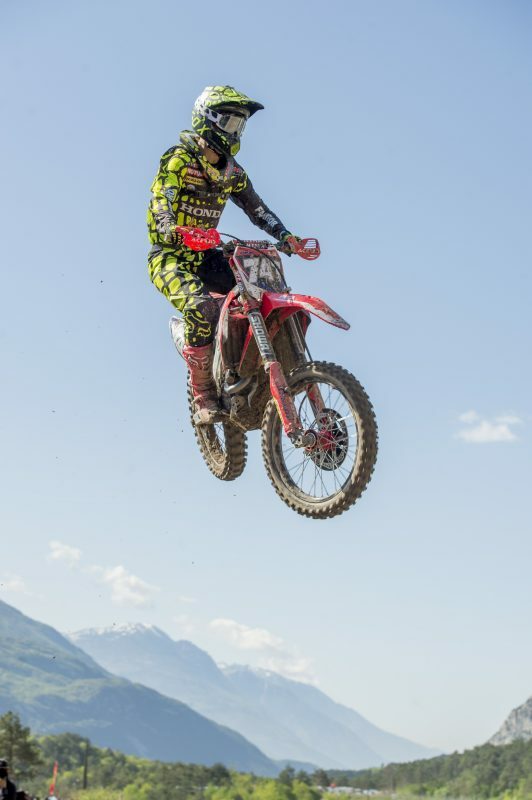 Joining Michele Cervellin in HRC MX2, riding the CRF250RW, is 22-year-old Dutchman Lars Van Berkel who will be filling in for the injured Chihiro Notsuka. 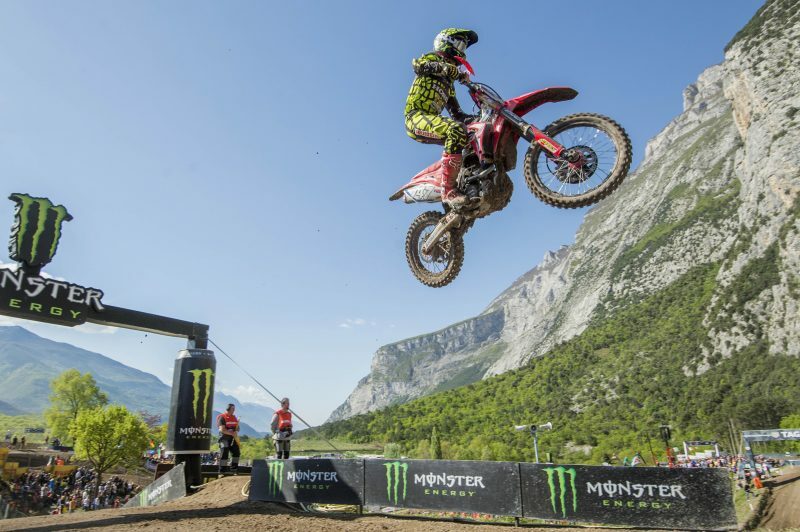 Coming just one week after the MXGP of Trentino as the European season starts to come thick and fast, the MXGP of Europe represents the first real sand race of the year. 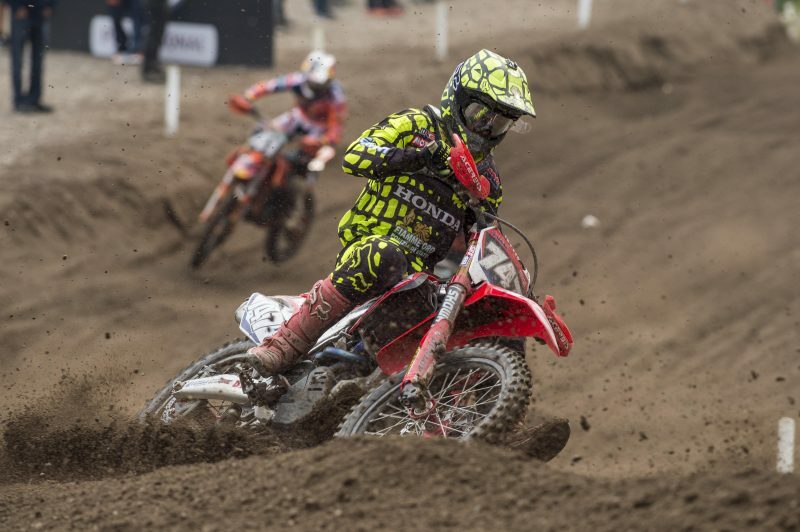 Located just over the Dutch / Belgian border, Valkenswaard is old-school motocross and equally popular with the fans as it is challenging for the riders. 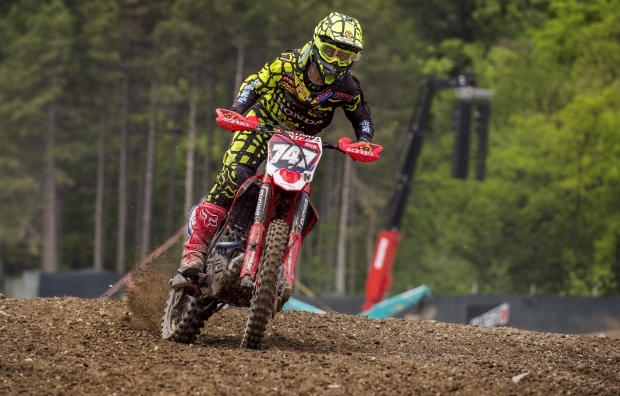 Fresh from his MX2 debut with Honda Europe team Vamo Racing in Argentina and Trentino, Van Berkel is graduating to HRC for the next two rounds of the MX2 Category in Valkenswaard and Latvia. 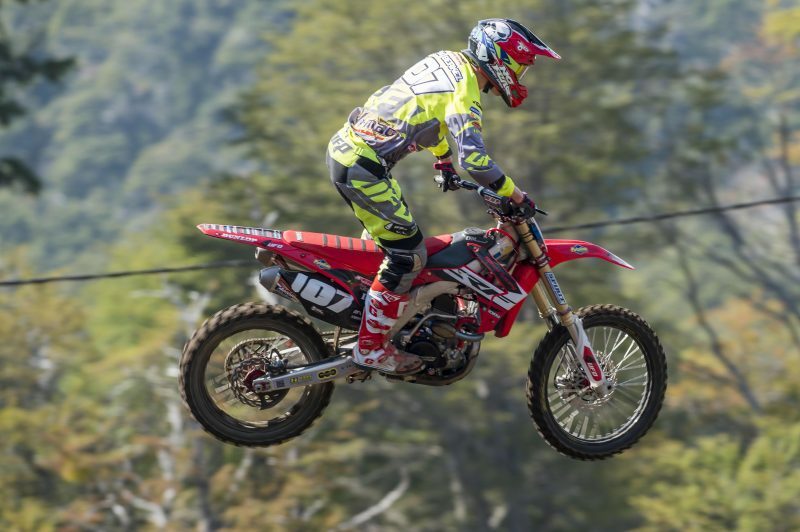 As a good sand rider, these two races should suit him well, and he is no stranger to Honda having won the Dutch championship on the Honda CRF150R in 2009. Vamo Racing have released Van Berkel to HRC to give the Dutchman the opportunity to showcase his talent as the Honda Racing Family continues to search for and promote new talent. 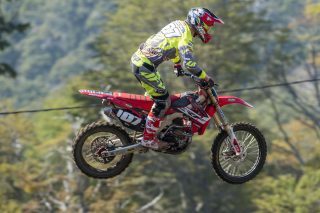 This will be his last year in MX2 before moving up to the MXGP class next season. 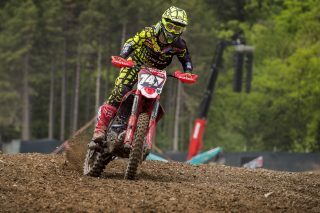 Following a Grand Prix career-best qualifying in Trentino despite nursing a hand injury, Michele Cervellin will be looking to continue the form he showed in Italy and climb back up the championship table this weekend in Valkenswaard. He is familiar with the popular Belgian sand track having raced there in the European rounds last year. The MX2 qualifying race starts at 16:25 local time on Saturday 22nd April. I rode at Valkenswaard for the first-time last year when I was racing in the Europeans and I got seventh overall so I know I can do ok here. My focus is getting a top 10 finish and I don’t mind the tough sandy conditions here. My goal is to get a good start and ride smoothly and consistently as the track is very rough and will get worse throughout the day. It is a dream come true to ride for the Honda Racing Corporation Factory team for the next two rounds. I am going to make the best of it and try to show that I deserve the ride. I was riding for Vamo Honda this year and I am grateful that they have allowed me to take this opportunity. I have ridden Hondas for many years so I know the bike well and it is a bike that I feel good on. Valkensward is a track I know fairly well as it is a home race so I am going to go there with my ‘A’ game. The most important thing for me is that I ride like I know I can. 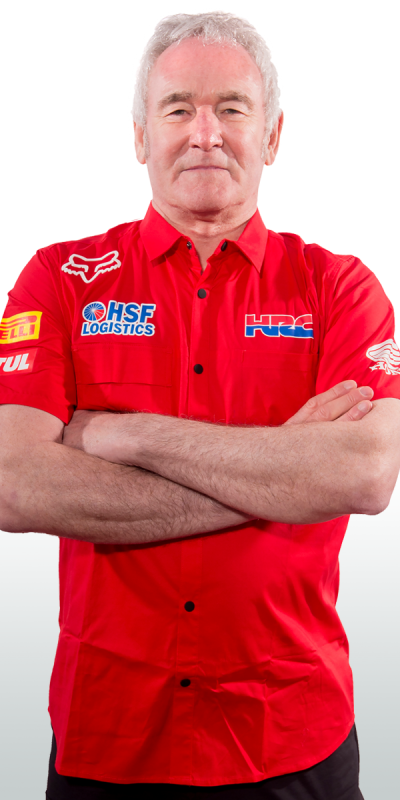 We are pleased to have Lars on-board with HRC for the next two rounds. He has been a loyal Honda rider for many years and as a Dutchman, he is looking forward to riding in the sand in Latvia and Valkenswaard. Michele proved in Arco that he has grown as a rider and is starting to show what he is capable of. Although he will still be riding with a small hand injury this weekend his consistent riding and strength should pay off this weekend in the difficult Dutch sand track.